My mom has always loved dogwoods, those graceful understory trees common in East Texas, whose blossoms remind me of ethereal confetti. My sister and I have gifted her with dogwood jewelry on her spring birthday in years past, but last year we discovered an even better way to celebrate. Palestine is on US 287, about 100 miles southeast of Dallas. 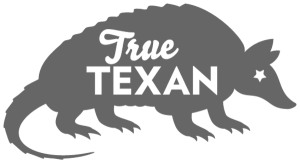 For details on lodging, dining, and events, call 903/723-3014; www.visitpalestine.com. This year’s Dogwood Trails Celebration takes place March 20-22, March 27-29, and April 3-5. See www.texasdogwoodtrails.com. Eilenberger’s Bakery is at 512 N. John St. Call 903/729-0881; www.eilenbergerbakery.com. The Museum for East Texas Culture is at 400 S. Micheaux Ave. Call 903/723-1914; www.museumpalestine.org. The Texas Theatre is at 213 W. Crawford St. See www.thetexastheater.com. O’ Sweet Pea is at 105 W. Oak St. Call 903/723-7321. Oxbow Bakery and Antiques is at 215 E. Crawford St. Call 903/723-5100. Pint and Barrel Drafthouse is at 302 E. Crawford St. Call 903/727-2711; www.pintandbarrel.com. When we learned that the East Texas town of Palestine honors the tree by holding a dogwood festival each spring, the three of us planned a weekend away together. 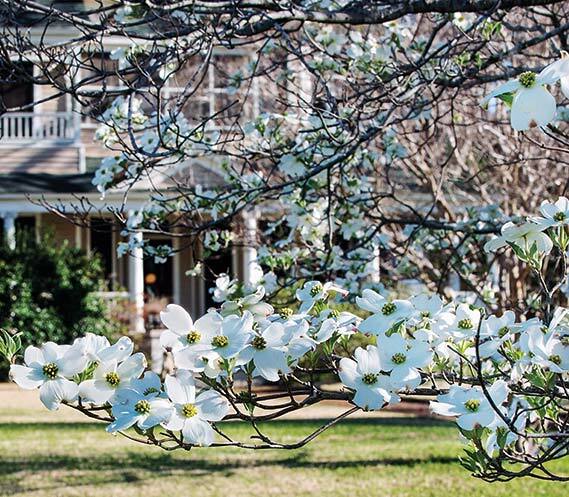 Held the last two weekends of March and the first weekend of April for the past 77 years, the Dogwood Trails Celebration features driving tours to see the dogwoods in bloom, live music, a parade, and special offerings at many of the cafés and shops around town. Thousands of visitors flock to Palestine to enjoy various activities associated with the event, too, including a farm-and-flower market and a special brunch offering on the Texas State Railroad, which makes regular round-trip excursions to nearby Rusk. Of course, the dogwood trees—boasting yellow-green florets surrounded by white or pink petal-like bracts—are the star attraction of these festivities. They grace the lawns of Palestine’s historic neighborhoods and concentrate with abundance in Palestine’s 200-acre Davey Dogwood Park. Blooming from late March until early May, the trees flourish in the sandy soil of woodland East Texas. Since our primary order of business was to take in the swaths of dogwoods adorning the countryside, we headed first to Davey Dogwood Park’s rolling hills for a leisurely drive on the park’s nearly six miles of forested roads. At a hill called Manley Mountain, we stopped at some picnic tables to delight in the scenic view, which gave us a glimpse of three counties. But we soon discovered that there’s more to Palestine’s appeal than beautiful blossoms. A rapidly evolving culinary scene combines with revitalized historic spaces to ensure that there’s plenty to see and do (and eat!). For the perfect spot to relax after our dogwood immersion experience, we trekked to the downtown square for a treat at Eilenberger’s Bakery, which dates to 1898, when German immigrant F.H. Eilenberger founded a bakery in what was then a bustling railroad hub. Starting with a family fruitcake recipe from his homeland, Eilenberger developed a line of baked goods that proved timeless. More than a century later, Eilenberger’s Famous Texas Pecan Cakes and World Famous Fruit Cakes are still handmade and shipped all over the world, and a café offers pastries, sandwiches, and other light fare. 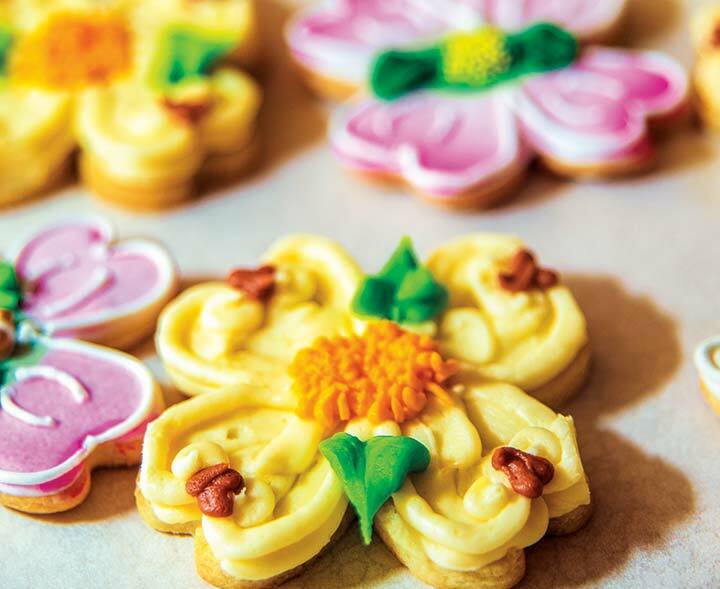 We marveled at the meticulously decorated dogwood sugar cookies, and the Apricot Angel, a drop cookie studded with white chocolate chunks and apricot pieces, definitely satisfied our sweet tooth. To learn more history, we made the short drive to The Museum for East Texas Culture, which hosts its annual three-day Dulcimer Festival in conjunction with the dogwood festivities. Our timing was off to enjoy the music, but the red brick building holds many treasures. Built in 1915 as Palestine High School, the museum pays homage to its heritage with a restored schoolroom, modestly appointed with simple wooden desks and a chalkboard. Other exhibits include a tribute to the railroad and the fire department; and a room devoted to Palestine’s famous African-American residents, such as 1980s basketball player Portia Hill and folk artist Alma Gunter. On the museum’s lower level, which was the school’s gymnasium, an entire 1857 dogtrot cabin illustrates a typical East Texas home of the period. Wanting easy proximity to the cafés, shops, and galleries of the 44-block Main Street District, we had booked a suite at the Redlands Historic Inn. Built in 1914 as an upscale hotel, the stately brown brick building—with five stories and a basement—served as headquarters for the International & Great Northern Railroad Company from 1920 to 1956. These days, the Redlands houses a collection of shops as well as extended-stay and overnight suites, all with full kitchens. Wooden floors and high ceilings hint at the building’s history (it’s in the National Register of Historic Places), and a balcony offers the perfect spot to lounge and listen to the whistle of a train whiz by on the nearby rail lines. On the first floor of the Redlands, the Red Fire Grille does an elegant dinner service. We started our meal with plump mounds of escargot baked in pastry shells and served with a blue cheese cream sauce, and then we moved on to spice-dusted tater tots served alongside maple bacon jam. The earthy richness of our shared main course—duck medallions topped with red candied onions, accompanied by caramelized Brussels sprouts and sweet potato hash—left us sated. But we managed to find enough room to savor a delectable bread pudding, served with bourbon caramel sauce and orange liqueur-spiked whipped cream. Before retiring for the evening, we took in a play at the historic Texas Theatre. The Spanish Colonial-style building served as a movie palace when it opened in 1930, and it now showcases performances by the Palestine Community Theatre five times a year. The next morning, we agreed it was high time to visit some of the antiques and specialty shops in the downtown Main Street District and nearby Old Town. Captivated by the charming window displays at O’ Sweet Pea, a gift shop and kitchen boutique, we made that our first stop. Browsing the enticing cookbook selection, I picked up a photograph-emblazoned volume called “Little Paris Kitchen,” recommended by cooking teacher Michele Merryman. Indeed, O’ Sweet Pea is more than a chic boutique; it also incubates local talent through an ongoing series of cooking, craft, and art classes. 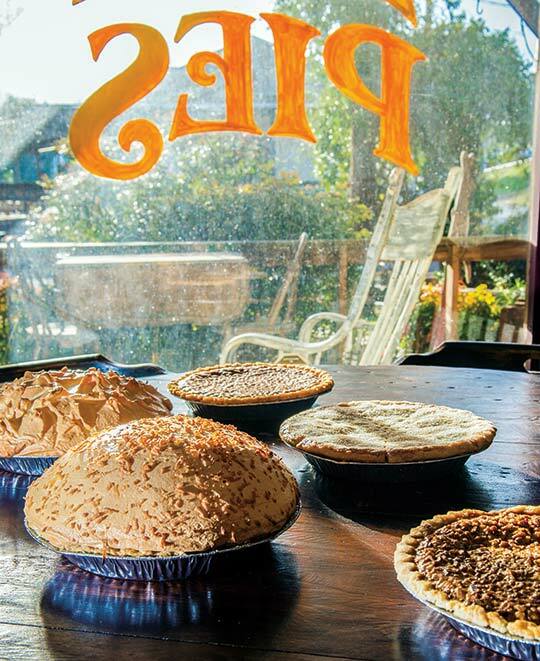 Down the street in Old Town, a group of revitalized historic structures west of the courthouse, we indulged my pie obsession at Oxbow Bakery and Antiques, which balances out sweet treats with light fare like soup and sandwiches in the homey setting of an antiques store. Weathered wooden picnic tables invite patrons to fortify themselves with heaping slices of 12 rotating pie varieties before browsing the shelves of treasures. We dug into our pie, decreeing the creamy buttermilk pecan version our winning combination. Before heading out of town, we stopped for a light lunch at one of the newest restaurants in Palestine’s burgeoning culinary scene, Pint and Barrel Drafthouse, which opened in May last year in a tin-roofed building that dates to the early 1900s. With a cozy, family-friendly feel complete with darts and board games, the pub beckons guests to stay awhile. We browsed the menu of traditional pub fare like shepherd’s pie, modern twists like house-smoked pulled-pork sandwiches, and a rotating selection of draft beers. Deciding on a snack of mozzarella sticks along with sauerkraut and a grilled onion-laden beer brat, we sat on the shaded patio and sipped our brews. Reflecting on our weekend together, we resolved to embark on birthday getaways more often. Mom says she didn’t miss her traditional gift one bit. After all, spending time together is much more valuable than another pair of earrings.